The latest major update for WhatsApp will introduce a range of new features for the popular messaging app. What are the new updates WhatsApp has prepared for 2019? Although initially, WhatsApp was launched as a plain and simple instant messaging app, it’s certainly grown a fair bit during the past years. And its owner never imagined that it would get to this. So, as WhatsApp is growing, it’s enhancing the best user experience. WhatsApp Messenger, a popular cross-platform instant messaging application that allows iPhone, BlackBerry, Android, Windows Phone and Nokia smartphone users to exchange text, image, video and audio messages for free has started this new year with a bang (or we could say, several bangs), with the user base hitting 1.5 billion monthly active users. Recently it has announced a few interesting features and some good updates that will come in 2019. So let’s see what it has in store for us. In 2018, WhatsApp introduced the Picture-in-Picture mode for videos. The feature allowed users to view shared videos from YouTube and Facebook directly in the app on a small floating window. Users could chat in the background while enjoying the video simultaneously. This year, any third-party video in the form of mp4 files shared by users will be able to utilise this feature as well. Our smartphone screens are usually presented as black text on a white background. But medical practitioners are warning us that this ca be pretty taxing on our eyes. Dark mode is a simple solution to potential eye strain by inverting the colours. And industry insiders believe WhatsApp is about to introduce a dark mode option with the imminent iOS 11 update. The “Dismiss as Admin” feature is only aimed at WhatsApp groups. Just as the name implies, it enables group admins to demote other admins. Earlier, group administrators had to remove other admins to demote them. But, with the new feature, they can just be demoted to a member without being removed. You will be able to locate it in the Group Info menu. 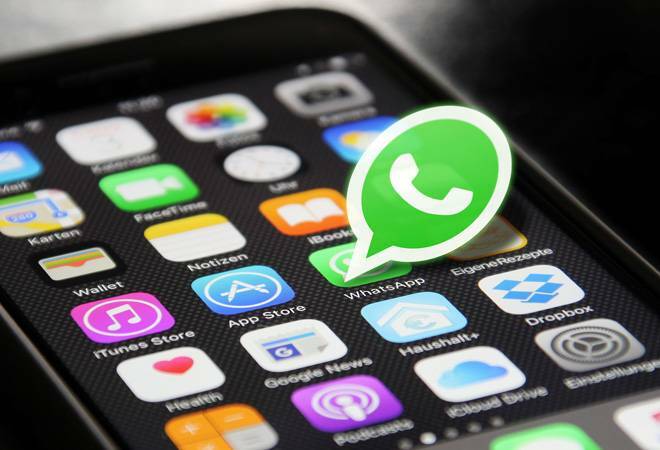 As for the new feature, WhatsApp is now allowing its users to download old media files again, which they might have deleted from their phones earlier. Before this idea was even thought of, the media files which WhatsApp users used to delete from their smartphone’s files after downloading, were not available for download again. This was primarily because WhatsApp used to delete such media files from its servers once they were downloaded by the intended recipient. Privacy concerns have always surrounded WhatsApp. Therefore, leaks suggest that the company will be bringing in fingerprint authorisation for the app. WhatsApp uses end-to-end encryption meaning only the communicating users can access the messages. But this coding is instantly ineffective if your phone becomes compromised. But a forthcoming new feature could soon arrive, requiring users to use their phone’s fingerprint scanner or facial unlock to access WhatsApp. It is, however, unknown exactly when this new feature offering added security will arrive. Users will need to authenticate their identity everytime them come into the app. If the verification fails, WhatsApp will require the phone’s passcode or password to unlock. The feature was first seen to be tested on an iPhone and should rollout soon after development completes. The WhatsApp voice message is one of the app’s best features. This option allows users to record a short message which is then sent to a contact of their choice. WhatsApp users will soon get the ability to send multiple voice messages. WhatsApp will then automatically queuing them to be sent in quick succession. WhatsApp could follow soon Apple and introduce group video calls. Apple’s Group FaceTime allows up to 32 people to simultaneously join a video call. Although WhatsApp has already released a similar feature, its group calls only allow three people to chat at once. But with the Google Duo app allow up to eight people to talk, so time has come for WhatsApp to make an upgrade and give us the new feature. When the emoji search feature was rolled out last year, it made it easier for users to quickly access the desired emoji by simply describing the mood. WhatsApp is going to do something similar with stickers too. The app will let users search the kind of sticker via text they are hunting and will present them with viable options. It will be highly beneficial for those who use stickers a lot.